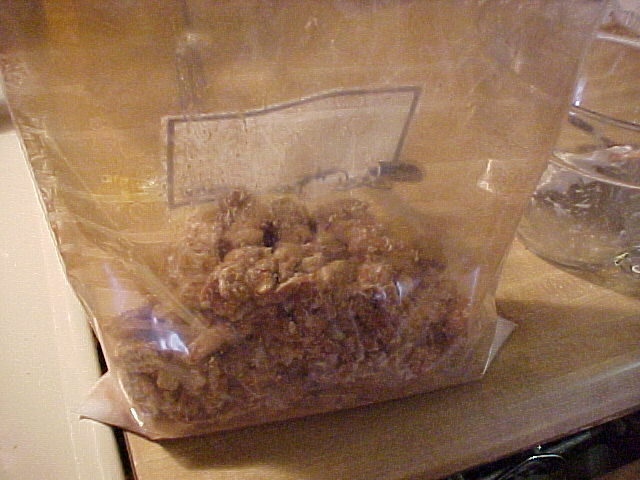 I usually make at least two batches of these every Christmas season and give them as gifts to friends and serve them on Christmas Eve -- they're easy to make and always popular. 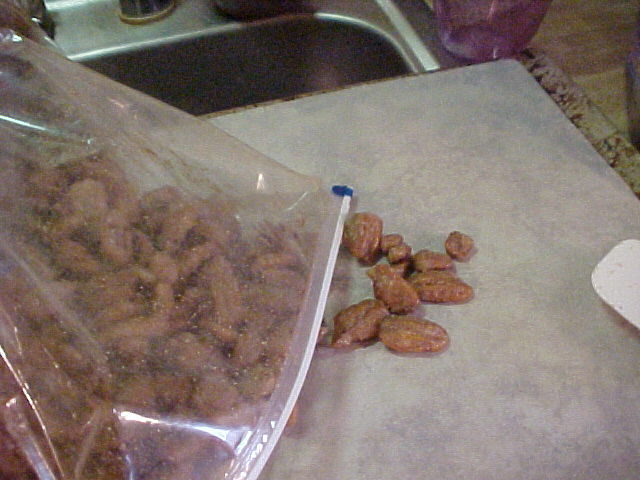 You'll see why when you taste them! 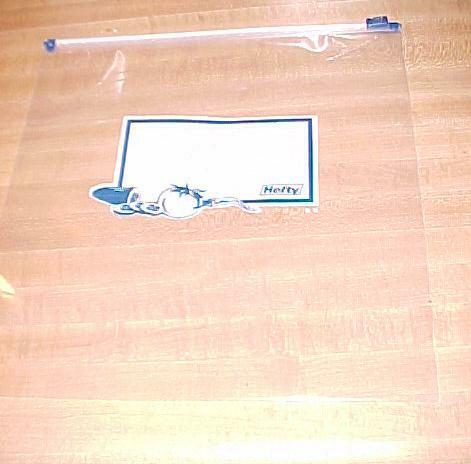 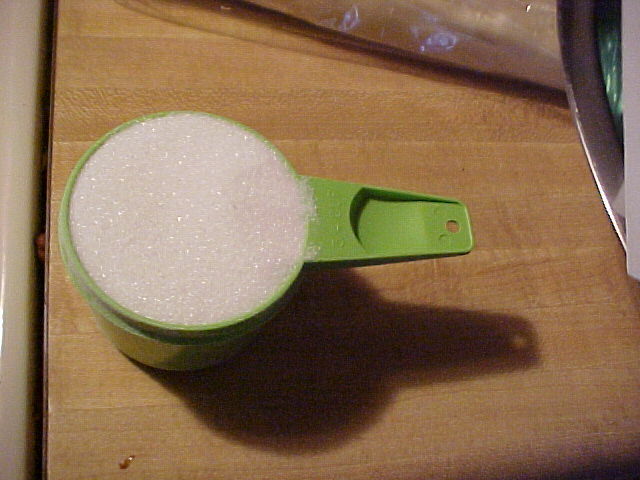 One large zip-lock bag, large resealable container, or a clean empty bread bag. 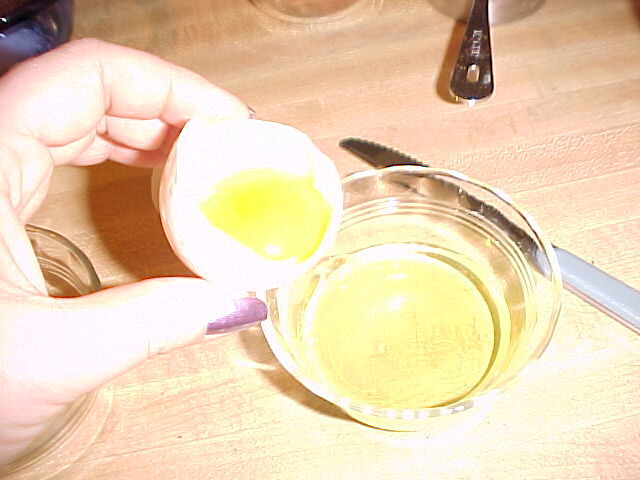 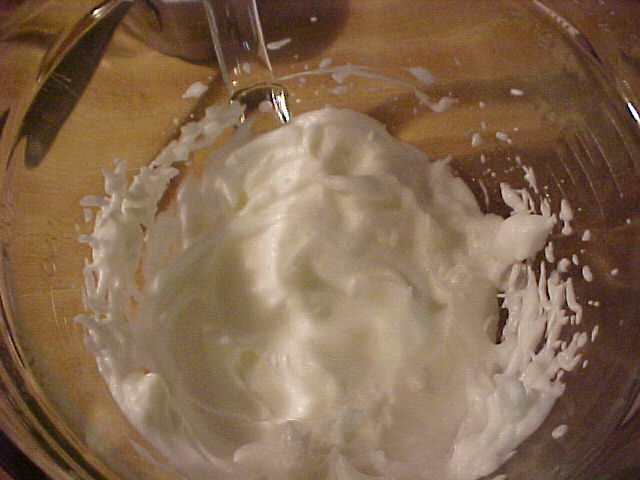 Whip the egg white in a large mixing bowl with a mixer. 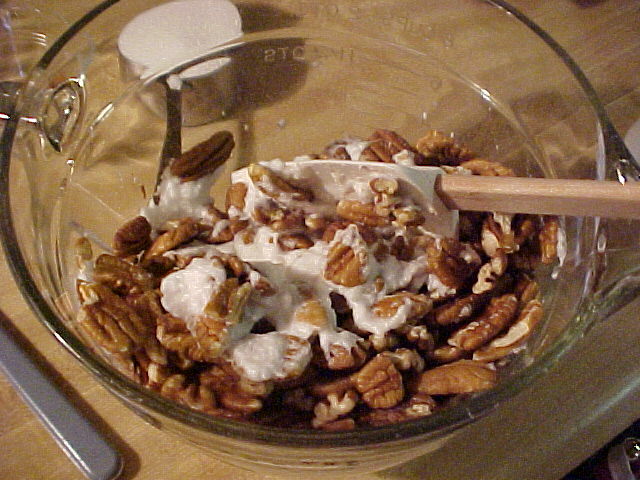 Fold (gently stir) the pecans into the whipped egg whites. 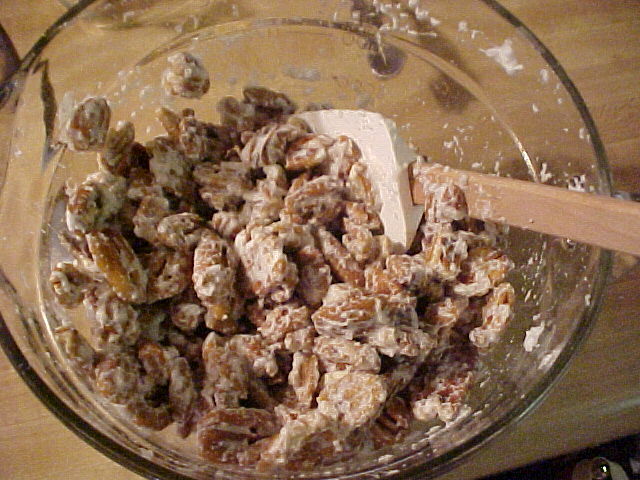 Stir the nuts into the meringue thoroughly so they are all evenly coated and moistened. 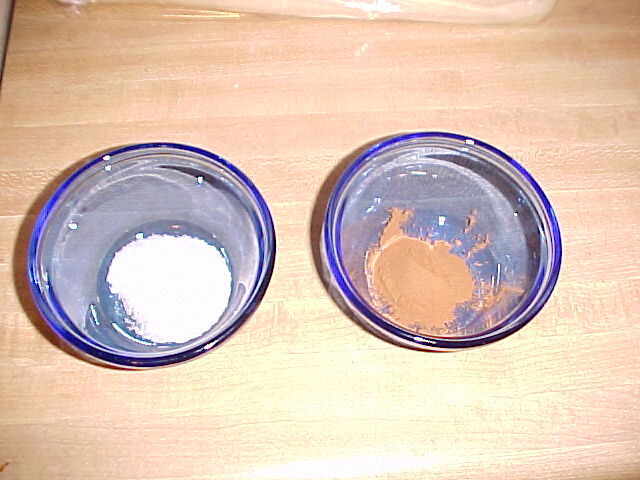 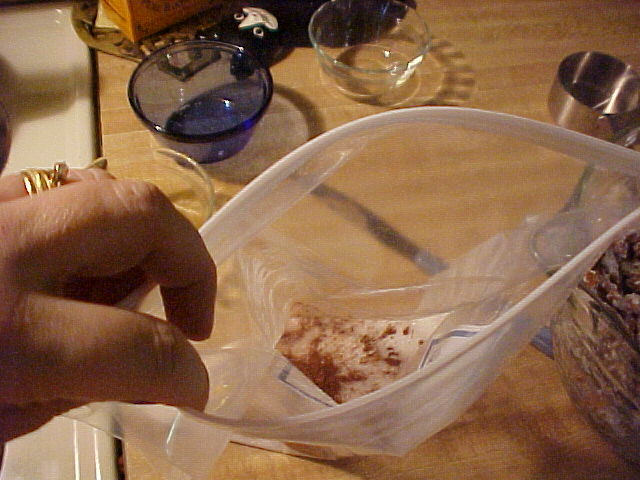 Put the cinnamon, salt and sugar in your zip-lock bag, seal and shake up to mix. 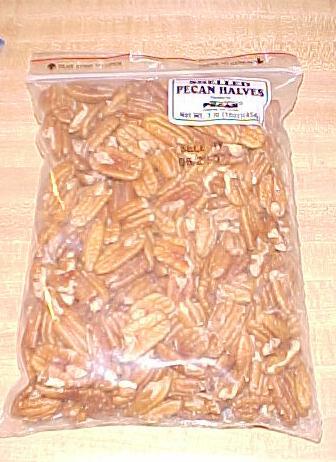 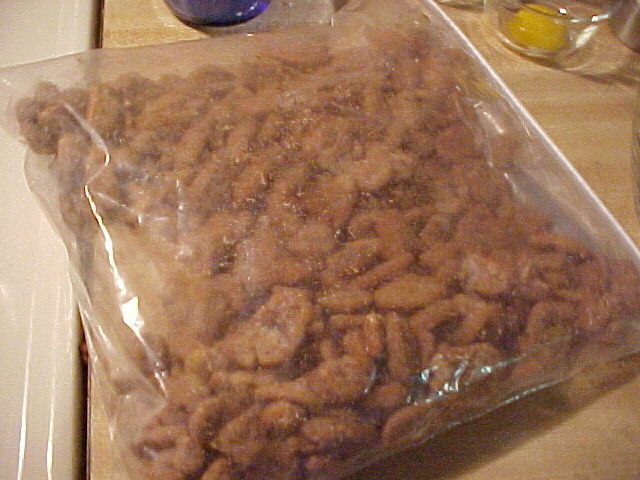 Put the pecans in the bag and seal it. 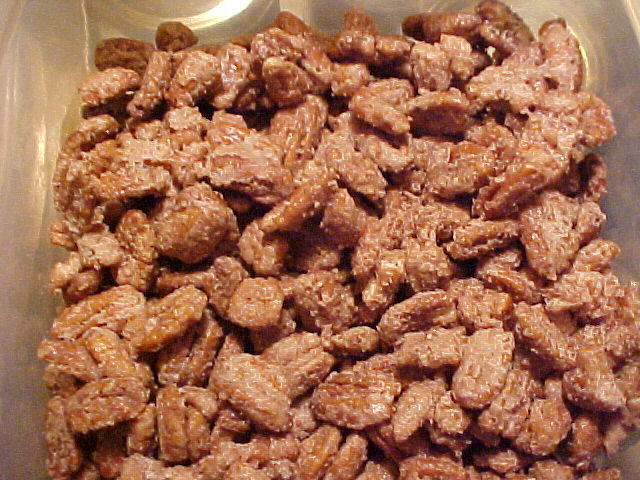 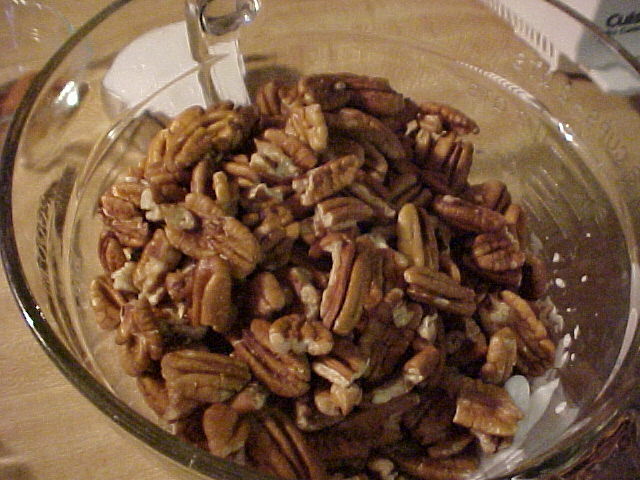 Shake well to coat the pecans with the sugar, cinnamon and salt. 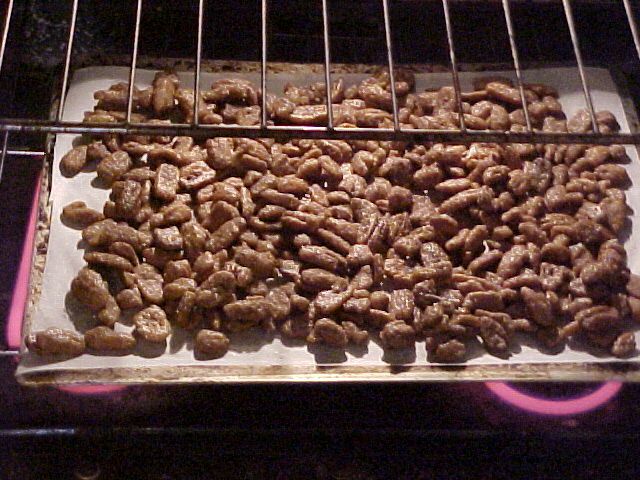 Spread the pecans out evenly on the cookie sheet. 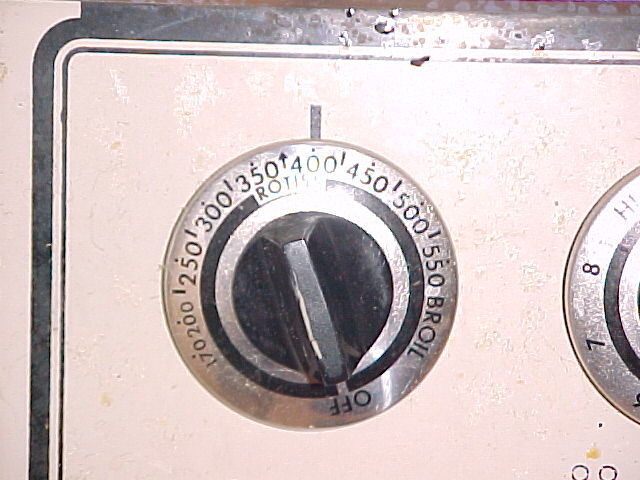 Place the cookie sheet in the oven and bake for 10 minutes. 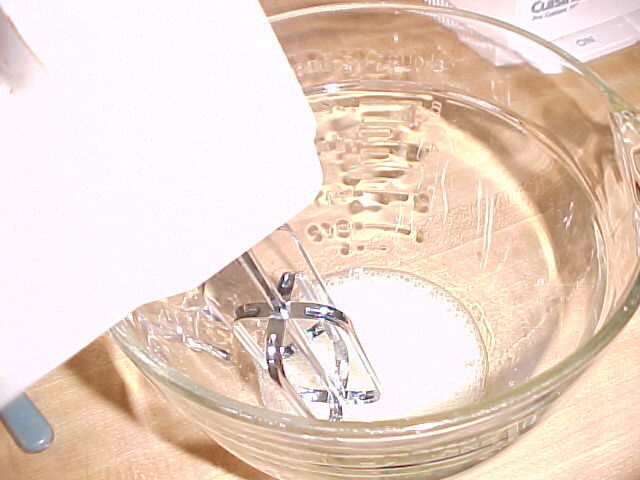 Remove and cool thoroughly. 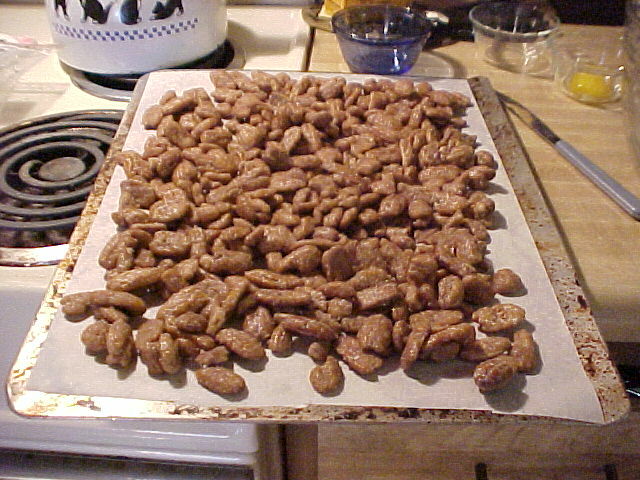 They will get crispy once they are thoroughly cooled.